Does anyone besides me think April went by really, really fast? Maybe it's because we had so much snow, it felt more like February than April! I squeaked in my finish just under the wire! My April UFO was a mystery quilt I started last summer at Quilt Colorado 2012. 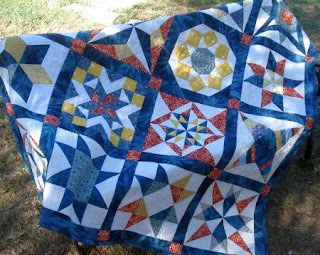 The designer is Linda Ballard of Let's Quilt. 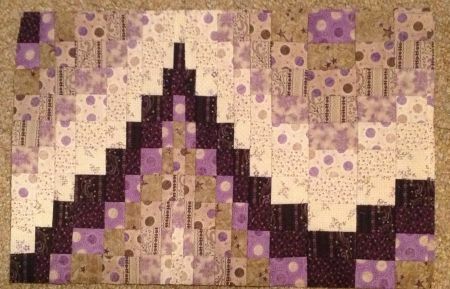 "Bits and Pieces" is probably the most "mysterious" mystery quilt I've made. You really had to sew all the steps before a clue emerged as to what the quilt would look like! 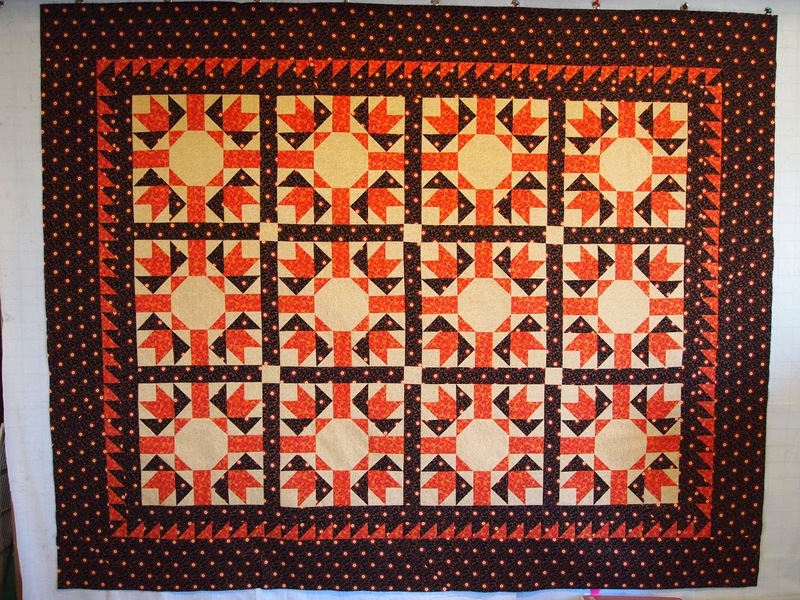 The pattern called for four borders, but I didn't have enough of the orange fabric to add a border, so I left it off. 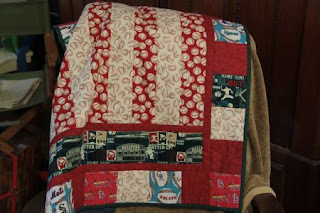 And I think it looks fine -- love the HST border. 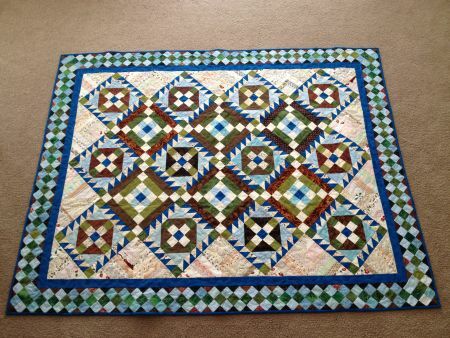 This is the 17th quilt top I've finished this year. Now, refill your coffee cup and sit back to enjoy the parade! 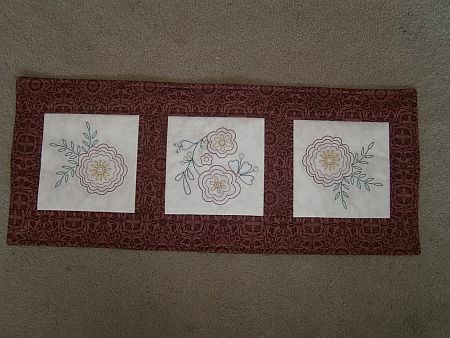 First up, Carol from Idaho and Arizona send this photo of her Thimbleberries blocks from 2008. I remember this project, and I think Carol gets extra credit for finishing three months worth of blocks -- they are complicated! 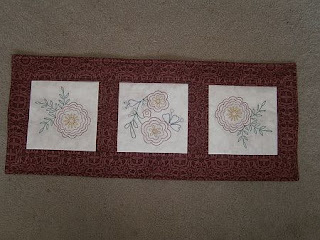 Susan embroidered this lovely tablerunner. 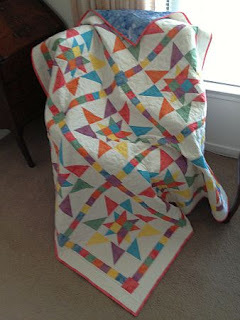 Here is the link to her blog post explaining the project -- doesn't she do nice work? 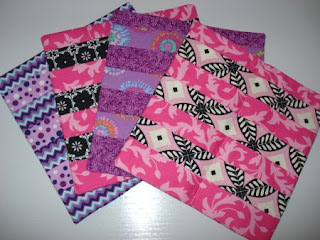 Another Australian, Sue, made these clever "loyalty card" wallets to match handbags she made earlier. Isn't this a great idea to keep track of all those "you shop here too often" cards? 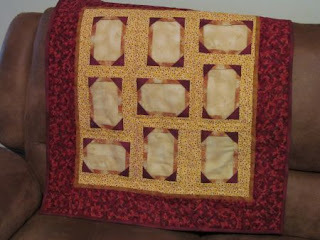 Her blog post with a link to the tutorial is here. 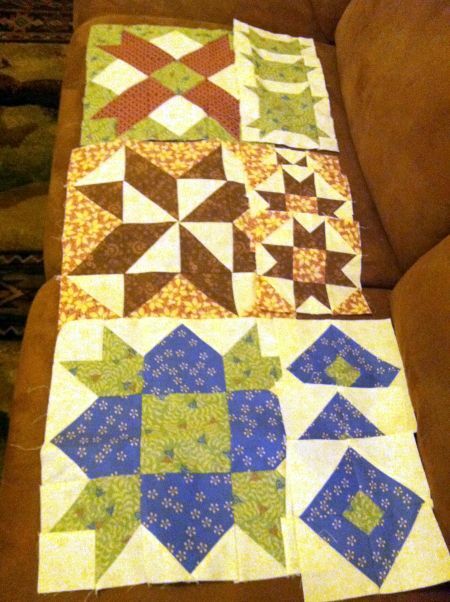 She also finished her bonus #13 project, "Stars Aligned." Go here to read all about it! 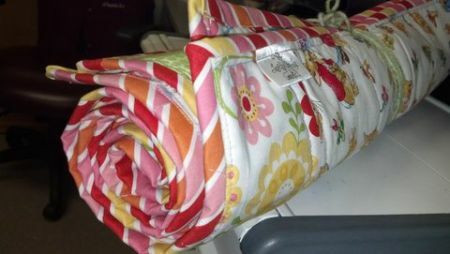 And, Bonnie Hunter's Roll Roll Cotton Boll! 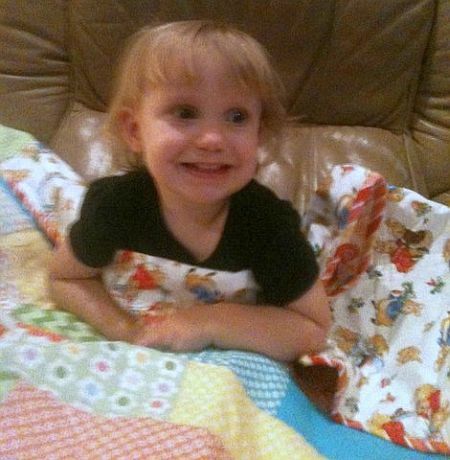 And speaking of darling, doesn't Olivia Grace look happy with her new quilt? 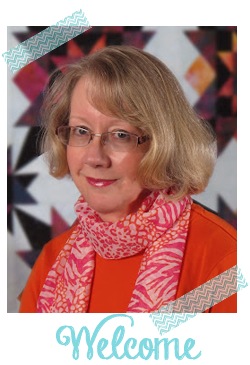 I have to share what Debbi told me about her April project, it made me laugh! 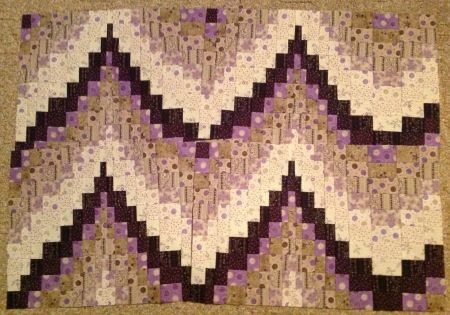 My UFO this month was to make Bargello placemats so that I could learn the process. Oh, I learned! 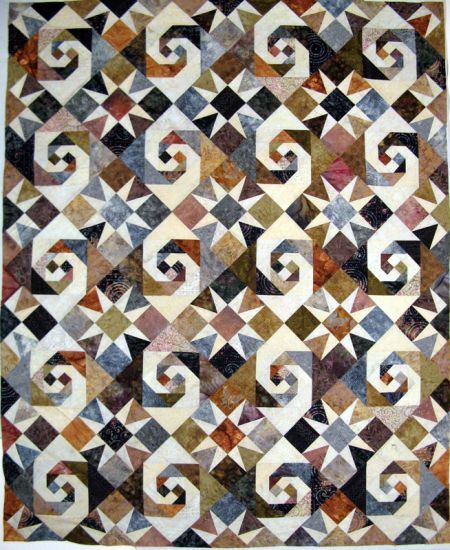 First and foremost is: I learned that I don't think I am willing to tackle a full-size Bargello quilt just yet! LOL! 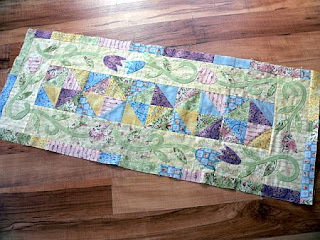 And after taking these pictures, I have learned that these placemats (meant for my SIL) REALLY coordinate well with my Berber carpet! Hahaha! Isn't it amazing how different two placemats made with the same fabrics can look? 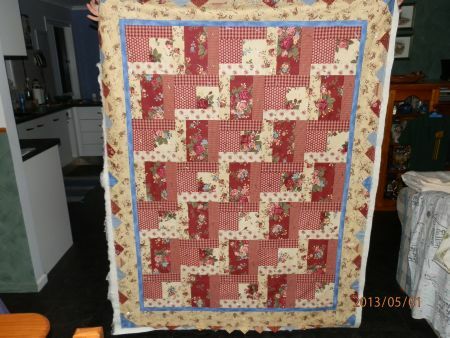 Another fellow retiree, Irene, made two quilts this month. First up is from Debbie Mumm's Project Kids book, it's a quilt-as-you-go project perfect for the child of two baseball fans! I love the idea of a photo frame quilt, Irene. 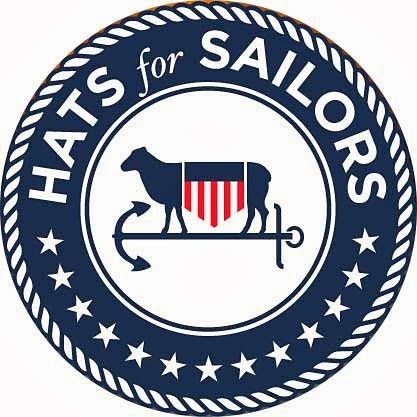 Is is your own design or from a tutorial? Sandi made another lovely batik number this month -- I love the colors in this one! Sandi explains the process for "Kalahari" on her blog, here. 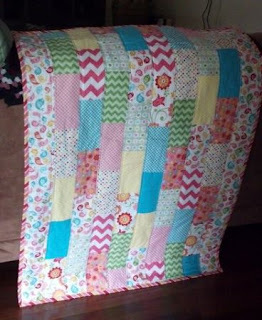 One more last-minute finish -- Noela completed this quilt with some of my favorite fabrics. Whew, just made it, Noela! Mr. Random Number Generator chose #6 for this parade's giveaway. Karen, I hope you haven't bought a copy of the new 100 Blocks Magazine vol. 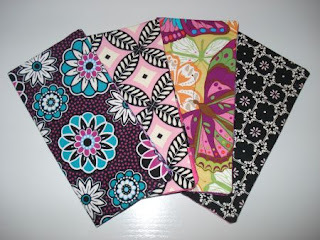 7, because I have one with your name on it! Thanks to everyone who submitted finished UFOs this month. If I missed your entry, please please please let me know! And good luck with project #12! 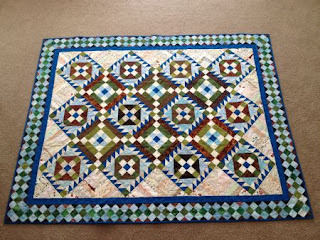 Thanks Marti - for the lovely comment in my work - for the wonderful parade - congratulations to karen and what a wonderful quilt from Sandi - well they are all lovely - but I particularly like that one. What a lovely lot of finishes this month, everyone has been very busy! Well done everyone! These are so inspiring. I can't wait till we return from traveling to see what my #12 project is. Great finishes for everyone! It's so motivating to see them all. 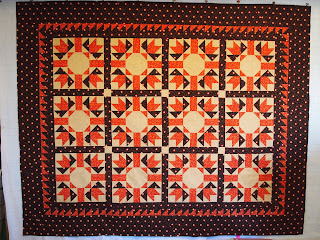 Your quilt is pretty awesome love that bright orange! Congrats on everyone finishing their projects!